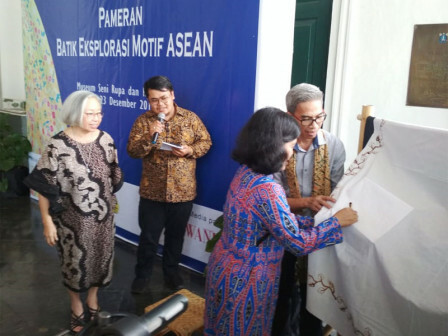 Fine Arts and Ceramics Museum along with Jakarta Tourism and Culture Dept., Batik lover communities, and Education and Culture Ministry is holding Batik Explores ASEAN Pattern exhibition on December 19-23, 2018.
" The making process of these batik patterns takes almost one year to finish"
Fine Arts and Ceramics Museum Management (UP) Head, Esti Utami stated, the works on display are the result of research conducted on various patterns and icons in ASEAN countries, which are curated as batik patterns. "The making process of these batik patterns takes almost one year to finish because research was taken from various written sources and visits," she said, Wednesday (12/19). This exhibition is opened for free. Tourists can also enjoy and gain knowledge regarding Batik with ASEAN patterns in the event.